Escape to the beautiful islands of Martha’s Vineyard and Nantucket with The Steamship Authority. For a day or a stay, we offer the lowest fares and frequent daily departures. Travel from Woods Hole to Martha’s Vineyard or Hyannis to Nantucket on our traditional ferries. Or take our passenger-only high-speed ferry Iyanough Hyannis to Nantucket... show more Escape to the beautiful islands of Martha’s Vineyard and Nantucket with The Steamship Authority. For a day or a stay, we offer the lowest fares and frequent daily departures. 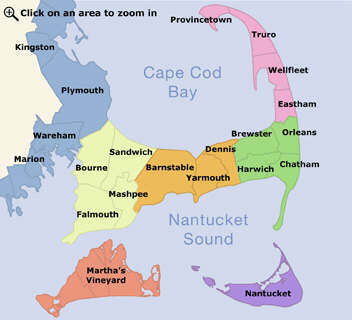 Travel from Woods Hole to Martha’s Vineyard or Hyannis to Nantucket on our traditional ferries. Or take our passenger-only high-speed ferry Iyanough Hyannis to Nantucket dock-to-dock in just one hour. The Steamship Authority offers a number of value promotions throughout the summer, go to Ways To Save on our website to learn more. So, for more ferries, more trips and the lowest fares to the islands the Steamship Authority is the Way to Go!